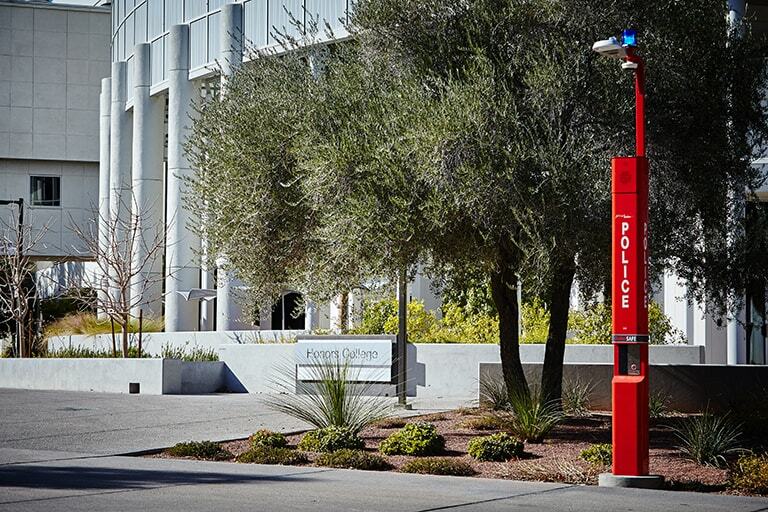 Located minutes away from the Las Vegas Strip, and just a short drive from numerous attractions, our 350+ acre campus is at the heart of this thriving city. Life on campus has its benefits – from quick access to all your personal needs to independent living with a built-in support system. 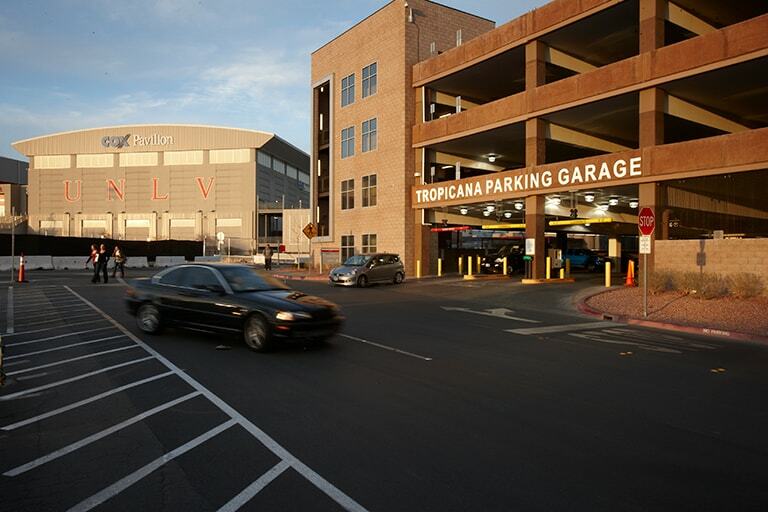 Choose UNLV and make us your home away from home. Our cost-effective campus housing lets you live on a floor with students of similar interests, be close to campus resources, and learn in a safe, supportive environment. You want food? We have options. 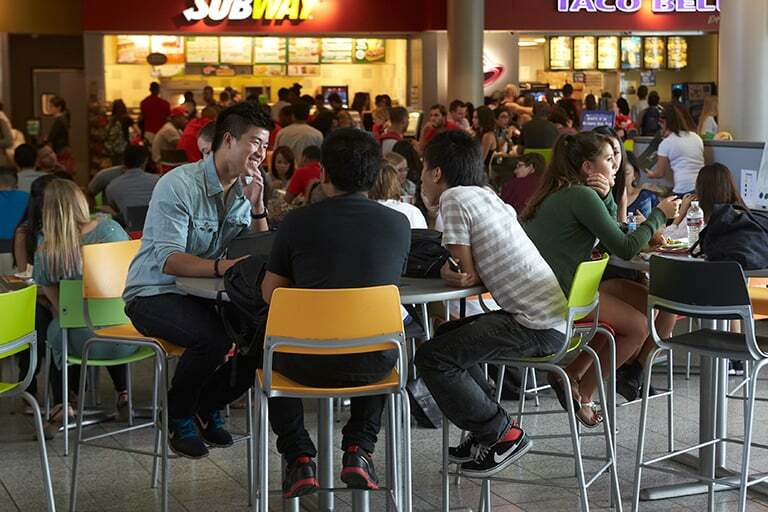 Whether you want to indulge in a hearty meal before a big exam or just need to grab a quick study snack, you’re never far from feeding your hunger. Get information needed to stay safe and secure. Learn the processes and procedures to follow in the event of an actual emergency. Need to take care of your finances? No problem. 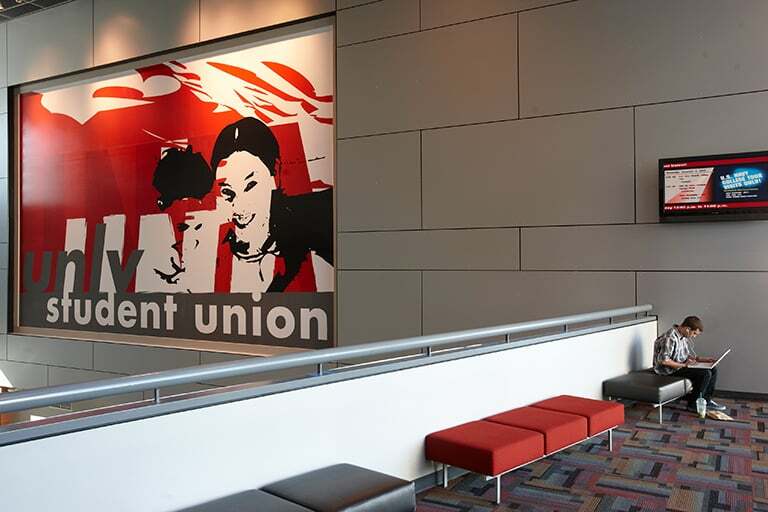 The full-service US Bank branch in the Student Union helps you manage your money. The RebelCard is your official UNLV ID. It can be used at the library and many other facilities on campus. You can also deposit money, called RebelCash, to your card. Our goal is simple—help you be well. 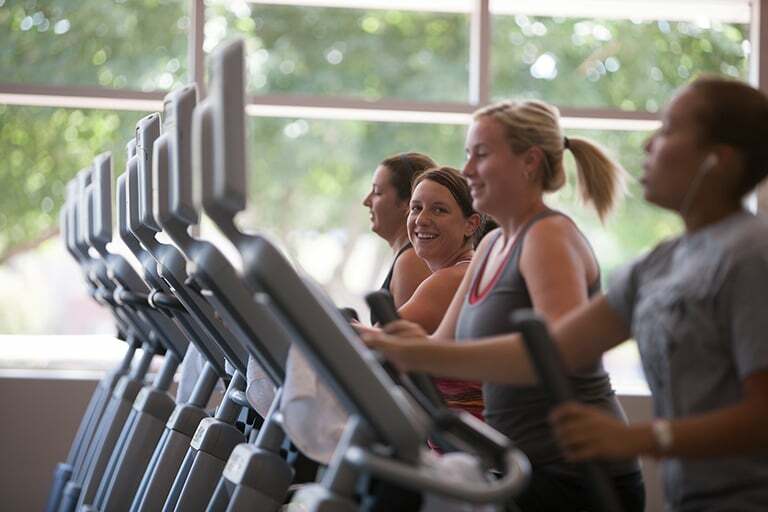 We offer a variety of programs to help you get fit, have fun, and stay active—ensuring a successful college experience. Come visit our beautiful campus, tour state-of-the-art facilities, and get a glimpse of campus life in action. 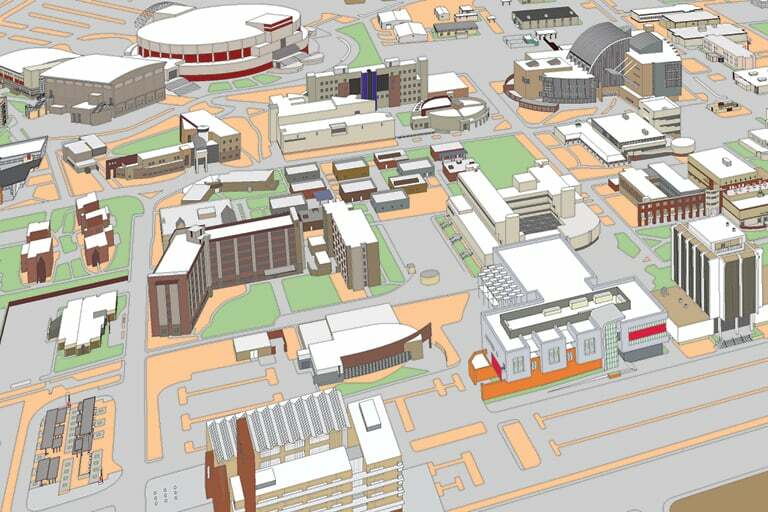 Navigate the campus with ease and find information about driving directions, buildings, and other locations on campus. Parking & Transportation Services strives to make parking your vehicle as efficient and convenient as possible. Our more than 350-acre physical campus doesn't disappoint. A designated arboretum, our campus offers lush landscaping and exotic gardens. Find out more about the people and landmarks that make our campus unique.